Bariloche in Argentina is a wonderland of souvenirs. 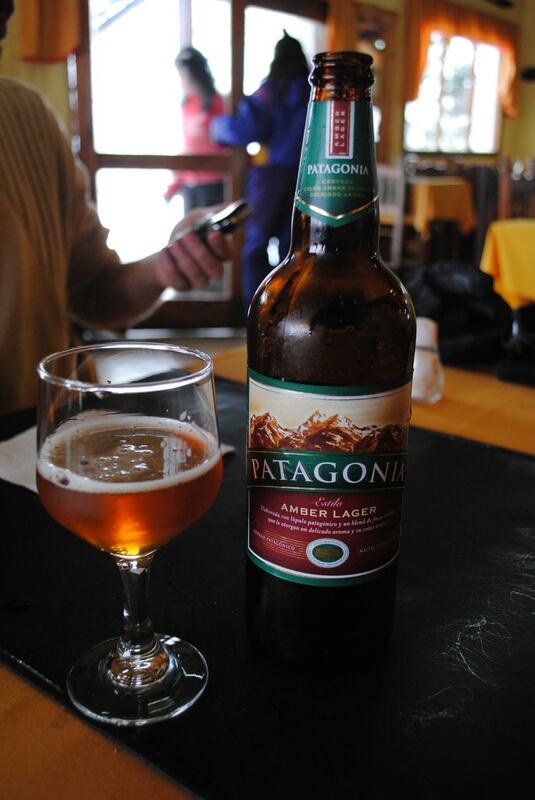 For tourists looking to bring a taste of Argentine Patagonia home with them, there are countless items to choose from. We round up the best places to pick up some souvenirs in Bariloche. 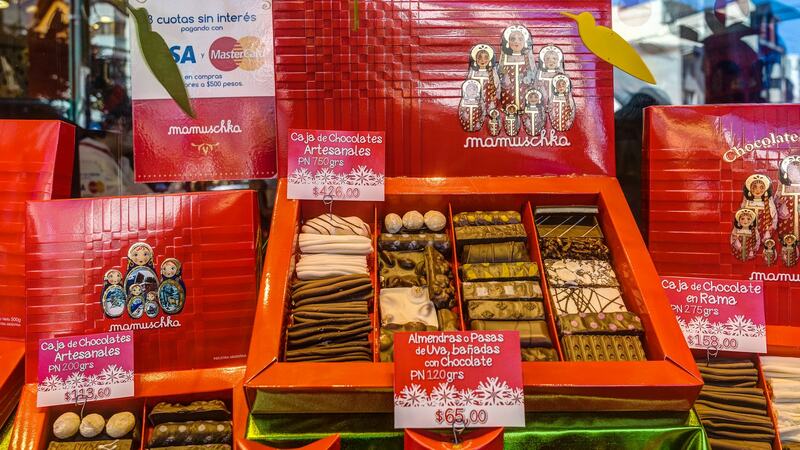 As soon as you set foot in Bariloche, it will immediately become apparent that this town is built on chocolate. Chocolate shops and cafes line every street, and one of the best is certainly Mamuschka, a local stalwart on the chocolate scene and a favourite with tourists. Fill up a small pack of chocolate goodies that you can nibble at on the go, and for your friends and family, order a selection box with different varieties of chocolate to keep them happy for days. Following hot on the heels of Mamuschka is Rapa Nui, another legendary chocolate shop just a few doors down. Complete with a chocolate fountain and ice-skating rink, these guys know a thing or two about chocolate, and apart from the traditional selection boxes, you can also pick up some chocolate animals, buildings and pre-packaged chocolate bars to keep you ticking over until next Christmas. Bariloche’s most popular hike is famous for its world class views once you reach the top of the 30 minute trek. Not only will you be rewarded with panoramic vistas out over the whole lake district, but you can also treat yourself to a coffee and a snack in the cafe on top of the summit. In the cafe you will find lots of Patagonian-themed trinkets, so pick yourself up a baseball cap or a keyring and you’ll never forget that time you conquered Cerro Campanario. 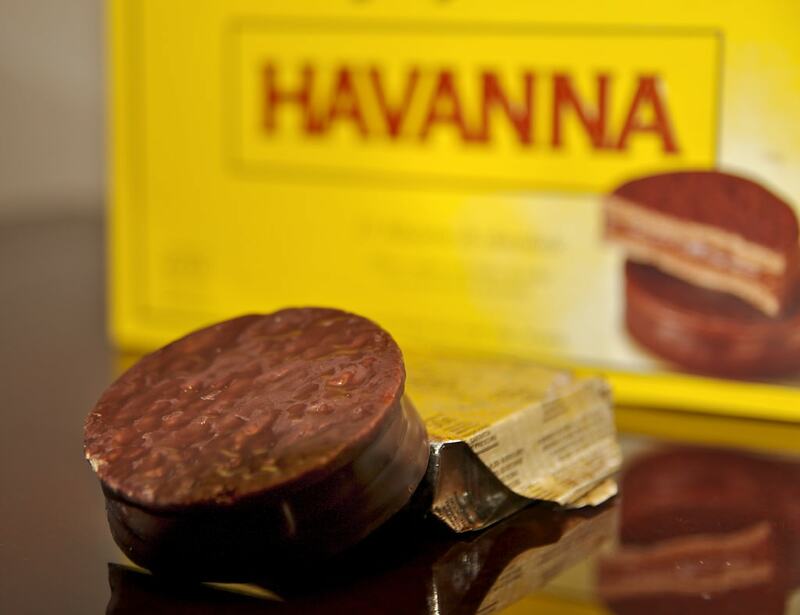 Argentina’s premier manufacturer of alfajores, a local cake-slash-biscuit, Havanna are big on the scene in Bariloche. Not only do they have a number of cafes, but they also have their very own chocolate museum! Check out the museum and the factory, and afterwards grab a box of different flavoured alfajores. Eat them at home with a cup of coffee and the memories of Bariloche will come flooding back. Argentina’s answer to Switzerland is located on the Circuito Chico in Bariloche. This tiny Alpine enclave has a central square around which are dotted chocolate shops, ice-cream vendors and waffle stands, but you can also pick up local beauty products like face creams and essential oils. Go for the rosehip oil, which is made locally from the bushes that grow in the forests surrounding the lakes. Beer lovers rejoice, Chilean beer kings Kunstmann have a fully stocked merchandising stand at the back of the Bustillo beer campus. Located within the cavernous Kunstmann beer hall, you can browse their selection of ceramic mugs, t-shirts and caps, and go home with your very own beer mug from which any old beer will taste just as good as a Kunstmann original. Patagonia beer’s Bariloche HQ has one of the best views in the area, and a merch table to match. If Kunstmann’s offerings didn’t satisfy your thirst for beer souvenirs, head over to Patagonia and pick yourself up some locally-themed sweaters, hoodies and t-shirts. Not to be confused with the Patagonia clothing line, this is purely beer-related.